During the afternoon the image against lot 110 moved to lot 112 and the image of lot 112 to lot 110. 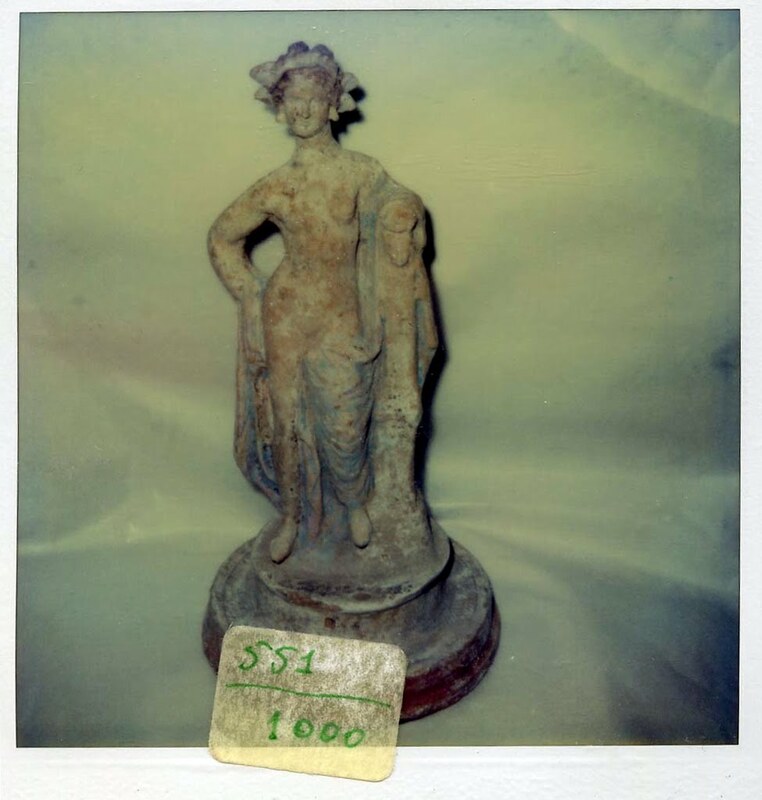 Lot 112 is a Canosan 'Greek terracotta goddess', dating to the 3rd century BCE. It is valued at $6000 to $8000. The figure rests against a herm. The present proprietor is not given ("Another Property"). However it is perhaps significant that the piece surfaced at "Anonymous sale; Sotheby's, London, 9-10 July 1984, lot 551" before passing into an anonymous English private collection. Several other interesting pieces passed through Sotheby's, London in 1984.